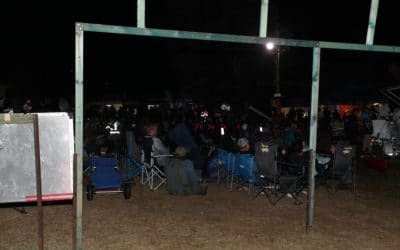 In 2018, the event, held between July 6 and 13, attracted a crowd of 750 competitors growing on the 700 plus that turned out for the 2017 running of the Evans Head Fishing Classic. 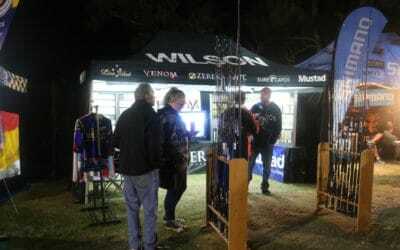 The weather for the most part played ball with the random draws attracting most competitors back to the event homesite of an evening, while by day, countless boats and anglers tried their luck for one, or several of the many species on offer. 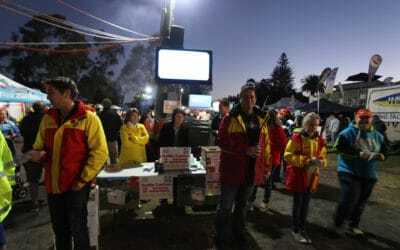 By night, fire pits were ablaze around the site, keeping everyone warm for the prize draws. 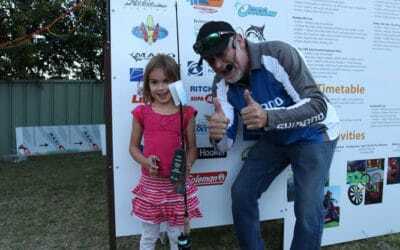 In 2017, Australian Fishing Tournaments took over the event and made a few changes to the format including a new ranking system for competitors. That change also included a switch to a catch and photograph competition and by year two, in 2018, competitors were well and truly up to speed with the new system. Photographs came in thick and fast with anglers hoping their fish was the longest on record. 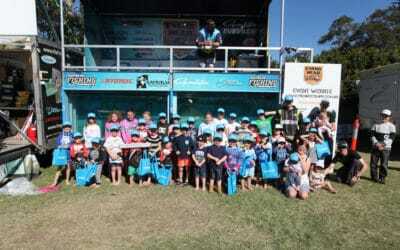 The change further cements the environmental focus of Australian Fishing Tournaments. Organiser and MC, Michael Starkey plus Joe Allan and Dave Moss were bright and bubbly keeping competitors informed and entertained well into each evening. Over the seven days, the prize pool exceeded $140,000, well past the advertised amount thanks to generous sponsors. Those same sponsors will be back next year with clothing, electronics, rods and fishing gear galore from sponsors such as Gamakatsu and Evinrude E-TEC, Woodburn Evans Head RSL Club, Wilson Fishing, Atomic, Frogleys Offshore, Engel, Richmond Valley Council, Samurai Fishing Rods and The Great Northern Brewing Co.
Prize winners went home with everything from stubbie coolers and new blue The Ice Box Bloke iceboxes to Atomic rods and Engel Fridge/Freezes. Kids weren’t forgotten either, and as the future custodians of our sport, were showered with giveaways including TVs, Bluetooth speakers and two awesome bikes. While the random draws are entertaining, there is also the kudos of winning and the overall champion boat went to Team Shimano who spread their wings and chased many of the species on offer. Kim Richter narrowly won best Overall Male with a grand total of 139 points, only securing the win on the final day of the competition. Katelyn Bodley again topped the women’s category with 111 points and now sits on a hattrick for the 2019 competition. 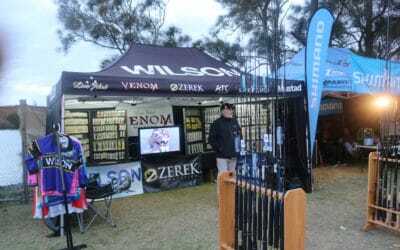 Notable catches included several metre plus flathead which were released and a 1.4 metre mulloway and a stonking big 72 plus centimetre tailor. Snapper, a hotly contested category saw Reece Thomson land a 96.8-centimetre horse. 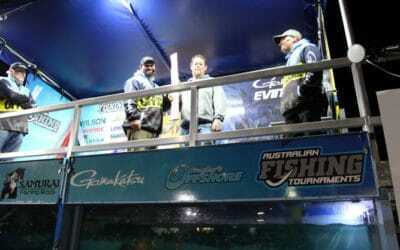 Bream and Whiting made up most of the inshore species with a horse 45.0-centimetre whiting landed by whiting guru Robbie Graham and Oliver Kaluzyn landed a 46.8-centimetre bream. While the adults landed some massive fish, the Cadets and Juniors didn’t miss out either. Kiara Hughes landed a 75.0-centimetre flathead earning her a win in that category and it was daylight to the next biggest at 52.0 centimetres for Tekaya Tinson. Other notable captures for the Cadets included a 66.2-centimetre groper for Connor Rooks. 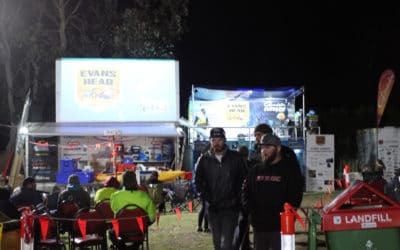 A 40.0-centimetre bream for Zachary Kikiras earned him bragging rights for the largest Junior bream while Bailey Knox was stoked with his 66 plus centimetre flathead. 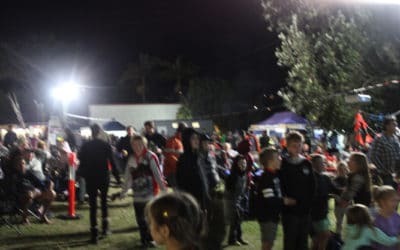 The good vibes behind this event wouldn’t be possible without the community behind it from the locals to the interstate travellers and the sponsors. We also can’t forget the good work the Surf Rescue and Marine Rescue do for us all. It was good to see support for their raffles, including kayaks, seafood and meat vouchers. We also supported the Beyond Blue Charity with a game’s day held at Illawong Hotel grounds, something new and fun for who came. Across the week, the event helped raise over $5,000 for charities on top of the raffles the organisation’s themselves ran, not a bad result!